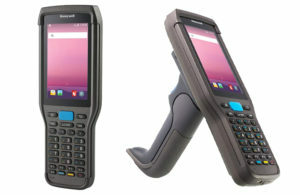 Light Industrial Duty, Superior Durability: The ScanPal EDA60K | Taylor Data Systems, Inc.
Honeywell recently launched a great new mobile computer for light-duty industrial applications in back-end retail environments, distribution centers, e-commerce and other inventory warehouse applications. The ScanPal™ EDA60K Handheld Computer is the latest model in Honeywell’s ScanPal family, with next generation technology to provide longevity and ease-of-use in demanding applications. This model is truly next gen, with an ergonomic design that can stand up to multiple users and long shifts. Operating on the Android™ 7.1 (Nougat) platform, the EDA60K offers the flexibility users need to easily access multiple applications and ensure smooth upgrades when changes are needed. The high- speed connectivity of this model makes it convenient for workers to access data in real-time, regardless of whether they’re inside or outside the four walls—keeping productivity and accuracy high. This device is designed with flexibility through and through, with one of the biggest features being keypad flexibility. Based on user preference, either the touchscreen keypad or the physical, 30-key numeric keypad can be used on this device. The multi-touch, 4-inch screen offers simplicity of access to information and applications, and the physical keypad aids in data entry-heavy applications, or special niche applications where a gloved hand is used when operating the device (cold storage, etc.). For today’s worker, and today’s even more demanding consumer, response time is critical to maintaining a competitive position. Having access to real-time data, being able to communicate wirelessly in field applications and connecting to multiple business applications straight from the device gives workers the agility and speed needed to keep processes moving on a constant basis. 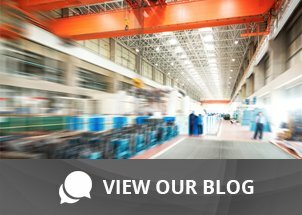 For warehouse applications, mobile devices take a lot of abuse. Not only are the work days often longer than 8 hours, multiple users can wreak havoc on devices over time. This device is clearly designed to live up to the abuse – both indoors and out. Different from other ScanPal devices, this one looks as durable as it actually is, with optional pistol grip and charging cradle. It also plays well together with CK3 accessories – just another way Honeywell has thought to extend the life of their solutions and make life easier for IT and users. The IP64 rating offers peace of mind, given the variety of environments in which these devices are being put to use. This pack offers secure, managed access to host-based applications, and leverage popular thin client protocols without risk of security issues. A big training and time saver, it keeps support costs low. For more information on Honeywell’s Enterprise Client Pack, please contact us. The ScanPal EDA60K is a great solution for those light-duty warehouse applications requiring longevity and ease of use. And for those who are ready to upgrade their technology from the CK3, this device offers backward compatibility with the grip and accessories, saving you even more. Consider the ScanPal for your application – then give us a call to learn more.